The Australian Packaging & Processing Machinery Association (APPMA) is pleased to announce that it will be heading to ProPak Asia 2017 on the 13-16th June, Bangkok, Thailand to host the Australian Pavilion in the Packaging Zone for the third consecutive year. The APPMA developed the pavilion as a way to assist Australian packaging and processing manufacturers and distributors to showcase their products and companies to the Asian market. ProPak Asia is Asia’s No.1 international processing & packaging trade event for Asia’s expanding food, drink & pharmaceutical industries. It’s Asia’s best platform to connect to the regions rapidly expanding processing and packaging industries. Going from strength to strength every year, ProPak Asia has a proven track record over 25 years of delivering the highest quality and quantity trade buyers, the greatest number and selection of international suppliers, and the best showcase of latest technology and innovations. As industry continues to expand across Asia due to growing consumer demand, new trends, strong growth rates, increasing exports and intra-ASEAN trade ProPak Asia is the must-attend annual meeting place for the industry. ProPak Asia 2018 is once again expanding in line with demand as more and new companies join the show, increase their size, exhibit more machines and target Asian business by choosing to exhibit at ProPak Asia. Exhibiting in the Australian Pavilion is Fibre King, HMPS, INOX Australia, Natec Network – Gold Peg (Australia) and Natec, Process Plant Network, Profile Solutions, Rhima Australia and the APPMA. APPMA Member companies Heat & Control and tna will also be exhibiting at the show in the processing zone. What products are the exhibitors in the Australian Pavilion showcasing during ProPak Asia 2018? demonstration format at the event and will revolutionise the way in which they load cases and collate products. Fibre King is a 90-year-old engineering company, specialising in the design and manufacture of end of line packaging machinery. Fibre King produces case packers, palletisers, meat equipment and crate automation equipment for the food and beverage, pharmaceutical, meat, fresh produce and household and personal goods industries. HMPS will be showcasing their new look and new design machinery and their new IoT service HMPS Connect at ProPak Asia. Naturally, they save the best for a show of this magnitude and will be launching their new machinery design at ProPak Asia. This prototype will be on display and it sports a solid mechanical design, a smaller footprint, better torsion and less vibration, paired with IoT technologies for ease-of-use. The added visibility features allow operators to view the operating status and the modular design makes this model scalable for most applications. HMPSis one of the largest case packing and palletising machinery builders in Australia, successfully designing a vast range of packaging systems for national and international customers. They offer customers end of line packaging machinery which include: Bag in box, Carton erectors and top sealers, Wrap around case packer and sleevers, RSC top and side load case packers, Cartoners for end load, top load and tray formers, Palletisers for single or multifeed and Custom robotic solutions. 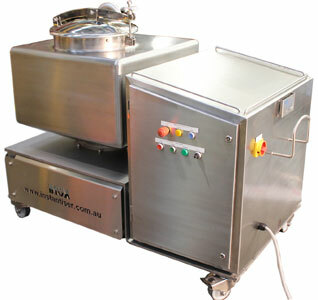 The INOX Instantiser has been successfully proven to be Australia’s food industry answer to fast, homogeneous powder/ liquid mixing and an effective solution to problems that occur with mixing systems where breaking up of difficult to mix solutions and agglomerates is present with traditional mixing equipment. INOX Instantisers rapidly dissolve and disperse viscous solids, semi solids and powders more effectively than any other system. A specially designed impellor system combined with an appropriate vessel shape, produce a high level of turbulence to dissolve and disperse almost any food product in the most efficient and thorough manner available. INOX are excited to release their latest version of the already highly regarded high speed mixing system, the INOX Instantiser. Loading has never been easier and safer due to the reduced height of the machine. The INOX Instantiser is designed for high-speed, high shear mixing and has become a food industry household name with many installations in Australia and Asia. Kelstream builds scraped surface heat exchangers for inline cooling or heating of your product. 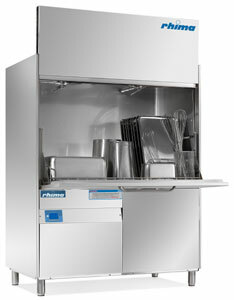 The Kelstream SSHE is commonly utilised in aseptic processing of foodstuffs. These heat exchangers are preferred because of their capability to process heat-sensitive, viscous, or particulate-laden products, enhance the heat transfer of viscous products, and minimise the extent of burn-on, or fouling on the heat transfer surface. They bring together the know-how of their specialists and your specific preferences. Only then can it be the infallible link in your demanding production process. INOXis a company engaged in successfully providing solutions for food and liquid processing. As liquid food process engineers, INOX specialise in the design and manufacture of complete systems and equipment for the heating, cooling, and processing of dairy products, juices, sauces, soups, stocks, preserves and jams, slurries, meat sauces, baby foods, fruit preps, specialised ingredients and any type of food products as well as the supply of quality made, and compliant equipment manufactured in Australia for the food processing, dairy, beverage, pharmaceutical and allied industries. THE NATEC NETWORK – FIRST TIME EXHIBITORS TO PROPAK ASIA TO SHOWCASE INNOVATIVE COOKING & PROCESSING SYSTEMS AND FILLING & FORMING EQUIPMENT FROM BOTH GOLD PEG AND NATEC. Gold Peg (Australia) and Natec (Germany) offer Success Generating FOOD TECHNOLOGY under the umbrella of the ‘Natec-Network‘ and will be exhibiting together for the first time at ProPak Asia. Natec and Gold Peg, as the Natec Network, bring together years of experience in high-quality machinery and plant engineering for industrial food production. Come and visit the stand to learn about Gold Peg’s cooking and processing systems including the continuous cooker and Natec’s filling and forming equipment, including the FreePack and FreeSlice. Gold Peg Internationalspecialise in Direct Steam Injection cooking & processing systems for: Processed cheese, Sauces & ketchup, Baby food, Fruit & vegetable products, Meat products and Natural mozzarella. Gold Peg’s continuous cooking systems are chosen by world-leading food manufacturers for of their versatility to control and set optimised processing conditions for each recipe. Natecfilling and forming equipment, the FreePack and FreeSlice, produce individually wrapped process cheese slices (IWS) and Slice On Slice (SOS) products. The Natec FreePack 2000 reaches maximum capacity, wrapping 2,000 slices/min. Products can be organised in packages ranging from 4 to 25 slices. The FreePack and FreeSlice are perfect complements to Gold Peg’s RotaTherm® continuous cooker. The equipment integrates seamlessly in your factory. Process Plant Network are based in Melbourne, Australia and have been operating for over 20 years, with a large client base of local and international food manufacturers and contract packers. Initially the company focus was on used machinery, but over the past 10 years they have grown considerably selling new equipment as well, from their own brand IOPAK, in addition they represent many international machinery manufactures such as Graco, Solpac and Firex to name a few.They have been exporting machines worldwide for many years. They sell a number of well-known international brands such as Toyo Jidoki, Orihiro, Ishida, Anritsu, Sollich etc. Process Plant Network also import a lot of machines, and are always on the lookout for quality select brands as mentioned above. Profile Solutions will be showing a working 4LD Plastic bottle leak tester capable of testing > 4500 small bottles per, which is also flexible enough to test up to 6L containers. Profile Solutions manufactures the fastest plastic bottle leak testers per test head in the world and they have exported to 35 countries so far. 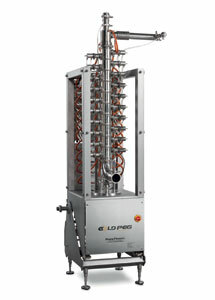 The flagship unit is the 6LD has on small bottle tested >17000 bottles per hour on a single head, world record testing and was still finding 0.18 mm holes. Profile Solutions started in 1993 and have been designing, manufacturing and leak testers since the beginning. In 1998 they started selling the leak testers under the Profile Solution brand and have been exported to 35 countries. For more than two decades they have made the world’s fastest single head leak tester. In a test run they were able to test a small container around 10-15 cc and find a hole 0.18mm in a peak run at 17,475 per hour on one head. Profile Solutions offer leak testing and automation solutions for container from 10ml to 1000L. When you walk into a supermarket a large proportion of all the bottles filled in Australia have been tested on a device made by Profile Solutions. Their automation solutions have mainly been in conjunction with blow moulding machines including bung inserters, rotators, transfer devices, dust cap placement and palletiser using CNC 5 axis and linear robots. They have also made very short cycle time stacking devices. Rhima are specialists in washing solutions and will be showcasing tray, pot and utensil washers mainly for bakeries on their stand at ProPak Asia. They also have a range of other washers for different washing purposes, such as a crate washer. Rhima specialises in equipment washing systems for businesses, industries and environments where impeccable hygiene and cleanliness are essential. They supply reliable industrial washers off the shelf or custom built to your specifications to comply with HACCP guidelines. Rhima’s extensive range of specialised equipment includes: Machines specifically designed for prosciutto, salami and ham washing; Bread and vegetable crate washing; Rigid and collapsible crates, manual or fully robotic loading and unloading; 120, 240 and 1,000 litre bin washers; Washing machines custom requirements; Washing and drying machines for chocolate and confectionery moulds; Wastewater pre-treatment systems to ensure compliance with local environmental regulations. The APPMA Member Directory includes detailed information on Australia’s leading packaging & processing machinery and allied components companies in Australia. If your company is looking for specific Packaging and Processing Machinery or you need assistance with developing a tender then the Australian Packaging & Processing Machinery Association (APPMA) can source the appropriate member companies for you. Just ask them how. The APPMA represents Australia’s leading packaging and processing machinery and allied components companies and your company can become a part of this network. Established in 1983 the APPMA, is Australia’s only national packaging and processing machinery association and the proud owners of AUSPACK; which is the largest biennial packaging and processing machinery and materials exhibition in Australia. The APPMA’s objective is to promote, integrate and foster participation and development at all levels of the packaging and processing machinery side of the industry. Members include manufacturers, distributors and importers of packaging and processing machinery who are suppliers to industries such as food, beverage, dairy, meat, poultry, seafood, confectionery, bakery & snacks and fresh produce. APPMA Member companies Heat & Control and tna will also be exhibiting at the show in the processing zone. Heat and Control is a privately owned multi-national manufacturer of industrial food processing and packaging systems and is the industry leader for developing and implementing innovative customised solutions. For over sixty-five years Heat and Control has set the standard for food processing systems and today provides processing, product handling and packaging solutions for a wide variety of food products. Their systems and equipment help their clients to produce consistently, high quality food products, in large volumes, at high levels of efficiency. tnais a leading global supplier of integrated food packaging and processing solutions with over 14,000 systems installed across more than 120 countries. The company provides a comprehensive range of products including materials handling, processing, coating, distribution, seasoning, weighing, packaging, cooling, freezing, metal detection, verification and inserting and labelling solutions. tna also offers a variety of production line controls integration & SCADA reporting options, project management and training. tna’s unique combination of innovative technologies, extensive project management experience and 24/7 global support ensures customers achieve faster, more reliable and flexible food products at the lowest cost of ownership. The APPMA would like to extend an invitation for everyone to come and visit the Australian Pavilion in Hall 99 at ProPak Asia 2018. Come and meet the Australian Packaging & Processing Manufacturers and Distributors and see what new and innovative products and solutions they will be showcasing to suit the Asian Region. If you would like to arrange a meeting with any of the companies in the Australian Pavilion please email [email protected] today.